This tour focuses on the northern end of the island and the harbor area. 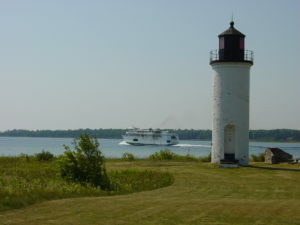 Tour charming St. James village including its lighthouse on Whiskey Point, shops, museums and churches. The tour then proceeds to the west side of the island to see spectacular Donegal Bay with views of High, Whiskey, Trout and Garden Islands. Finally you will visit Protar’s home and tomb and hear the intriguing history of this fascinating man.